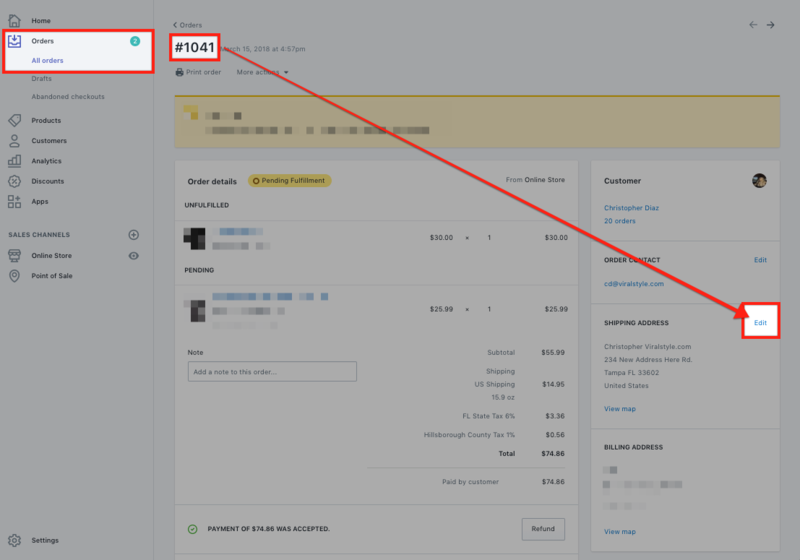 Change the customer shipping address on the Shopify order page seen below. It is not possible to change the address of an order that has already generated tracking information. • Once you have updated the address on the Shopify order page, the update will push through to the Viralstyle Fulfillment app automatically. • You can reach out to an account manager using the in-app chat, or email shopify@viralstyle.com to confirm the update was successful on our side.